When I ask my students: “Who are you playing for?” They look at me like I have two heads. My students think: “Of course I play for myself.” But when we take a closer look at it, they find out that they are playing to please others or to gain respect from a parent. 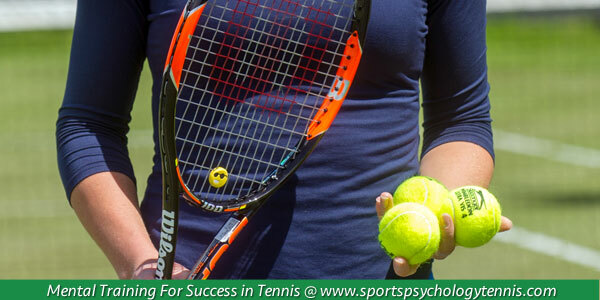 Tennis juniors are particularly prone to playing for their parents instead of for their own goals. 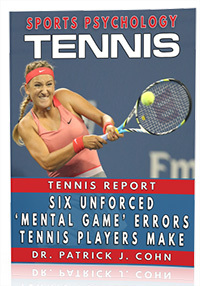 In sports psychology terms, these players seek social approval. They want to be accepted, respected, or held in high esteems by others. Some of this might be normal – kids wanting to fit in. But most of the time, young players who worry too much about what others think, feel pressure and expectations to perform well. This leads them to under perform in tournaments. What’s really damaging is when a player relies too much on others support for his confidence level. He needs to think that others think highly of him. Often this type of thinking is assumptions players make and are not based in reality. 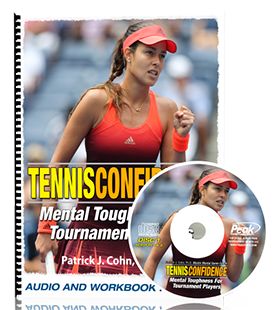 Tennis parents must understand that a young player’s need for approval becomes a source of pressure for kids. These kids become anxious in matches because they worry about failing or becoming embarrassed in public. How do you play for yourself when kids are so ingrained into playing for a parent or coach? This is not an easy change in kids mental games, but I do believe they can improve in this area. I ask my students to play selfishly. Other people do not matter (while on the court) or should not matter when you are playing. You have to be selfish with your focus. You must get into your bubble – you, the court, your opponent, and the ball! Much of kids’ thinking about approval is rooted in their expectations – expectations they adopt from other people such as parents, friends, and coaches, and twist in their own mind. These twisted expectations – “I must get to the finals or my parents will scold me” – don’t allow players to focus on the process. The phenomenon of social approval can become complex because it tied to a player’s level of self-worth. So it’s a critical issue. I’ve found that players who don’t have self-respect, look for respect from others. Thus, they try to make others happy or want others to give them props. My solution to the anxiety from social approval usually leads my students and I to talk about how to have self-respect instead of other respect. When you have self-respect (and play for yourself), you don’t search for respect from others.